Home to the largest university in South West England with over 32,000 students and with many student investment properties, Plymouth has a rich maritime heritage stretching all the back to the Roman Empire. Plymouth is a large port city on the south coast of England, in the county of Devon. With a rich history stretching back before the Roman Empire, Plymouth has always built its wealth and prosperity as a shipping and trade port. Occupying a prime location for trade with the Americas, it was a key port during the British Empire and continued to be so all-throughout the Industrial Revolution. Experiencing drastic attacks during the Second World War, the city has undergone extensive renovation to restore it to its former glory and is now a modern centre of public service. 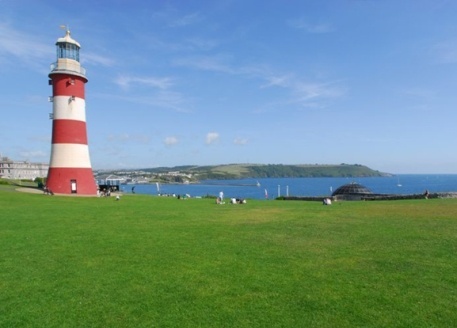 Today, Plymouth is well connected with the rest of the country via the A38 nationwide road, which links the city to the M5 motorway network at Exeter; some 45 miles away. By road, London is just under 4 hours away, whilst Birmingham is around 3 hours away and Cardiff around 2.5 hours using the Severn Bridge. Home to one of the ten largest universities in the UK, Plymouth has a strong student population of more than 32,000 undergraduates and postgraduates making the city an excellent opportunity for long term student property investment. In one recent report from Savills, Plymouth was highlighted as having a severe undersupply of student housing stock, with supplies for only 3,825 units whilst demands sits at around 23,000. This presents many investment opportunities for student accommodation investment in Plymouth. Plymouth grew to fame and fortune during the height of naval trade in the British Empire and again in the 1900s with the rise of industry. Today this strength still lives on, with HMNB Devonport being the largest operational naval base in Western Europe and Devonport Dockyard being the only naval base in the British Isles which refits nuclear submarines. Plymouth is also known for its famous 'Plymouth Gin' distillery and its instantly recognisable Charles Church; a church heavily damaged by bombing during the Blitz and left standing as a monument. Plymouth University is the city's sole university and is one of the largest in the United Kingdom. Tracing its origins back to the School of Navigation in 1862, the university has experienced a rich and illustrious history and has undergone a number of changes in its lifespan. As a polytechnic until 1992, the university is an amalgamation of a number of local colleges and has since been rebranded from the University of Plymouth to become Plymouth University. Plymouth University has previously been based around a number of locations in the city and the South-West, but has recently become focused on a single campus very near to the city centre. Within walking distance of railway stations, coach stations and the local bus network; Plymouth University is easily accessible from other major cities around the United Kingdom. The M5 motorway begins at nearby Exeter and links Plymouth to London by just 3.5 hours. Two airports at Newquay and Exeter connect the city to international destinations and allow the thriving foreign student demographic to easily access the university. Plymouth University does still maintain links around the South West, with many of its health-related courses having campuses and colleges around Devon, Cornwall and Somerset. Plymouth University is the 9th largest university in the United Kingdom and is by far the largest of its kind in the South West region. With more than 32,000 students; the learning population of the university makes up a considerable proportion of the city's population itself. 27,000 of those currently studying are on undergraduate courses, with the remaining 5,000 studying at postgraduate level. 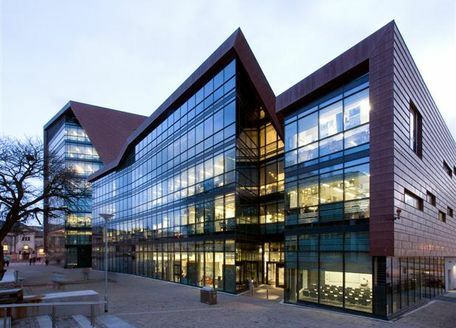 The university also employs around 3,000 members of staff. Over 85% of all students at Plymouth University complete their degrees and almost two thirds of those will be rewarded with a 2:1 or First Class degree. The vast student population and competition for places makes Plymouth a healthy opportunity for student room investment. Plymouth University is best known for its performances in maritime subjects, in honour of the city's continuing history as a shipping port. The institution is one of the top performers in the subjects of Maritime Business, Marine Engineering, Ocean & Environmental Sciences and Marine Biology. The university also excels in areas of Business, Law and Management with Economics placing consistently in the top 15 in the UK.